The Tara Montessori School was founded in 1988 by its Director, Toni Dunleavy, and subscribes to the principles of Montessori Learning. Classes are available for Infants (3 months and older), Toddlers, Transition, Pre-School and Kindergarten age children. We also offer Extended Child Care. We are located just minutes from Route 128 on School Street in beautiful Manchester-by-the-Sea. If you would like more information or to arrange a visit please e-mail or call us. The primary goal of Tara Montessori is to help children reach full potential in all areas of life. Activities promote the development of social skills, emotional growth, and physical coordination as well as cognitive preparation. The holistic curriculum, under the direction of a specially trained teacher, allows the children to enjoy the experience of learning and time to enjoy the process. It also insures the development of self-esteem and provides the experience from which children increase their knowledge. 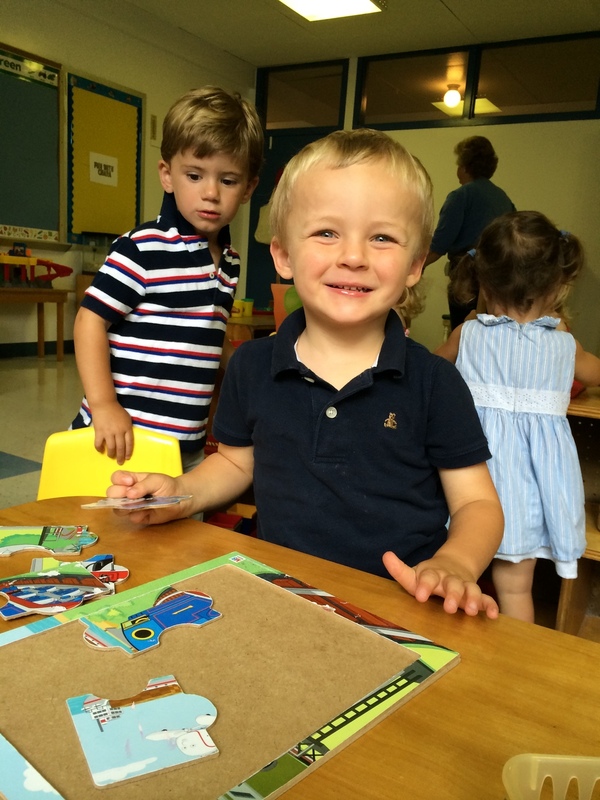 Each Montessori class operates on the principle of freedom within limits. Every program has its set of ground rules which differs from age to age, but is always based on core Montessori beliefs, respect for each other and for the environment. Children are free to work at their own pace with materials they have chosen, either alone or with others. The Teacher relies on his or her observations of the children to determine which new activities and materials he or she may introduce to individual children or a small or large group. The aim is to encourage active, self-directed learning and to strike a balance between individual and group needs. Their curiosities and horizons are expanded through exposure to a variety of stimulating Montessori materials. Our teachers help children learn the limits of their behavior and to develop their interpersonal and group skills. Confidence in their abilities and their level of competence is encouraged and enhanced through their interaction with other children and with their teachers. Feelings of positive self worth. The discovery of their world and its relationship to the world of theirs. The ability to communicate verbally in play with other children and adults. The ability to express themselves in their own unique way through art, dance, music and play. The healthy development of a variety of motor skills. Children may be aided in the achievement of other specific goals as identified by parents and teachers.